We guess everybody makes mistakes sometimes. This entry was posted in Uncategorized and tagged Colorado Traveling Ducks, Confusing. Bookmark the permalink. Darwin’s Law at work: anyone foolish enough to drive 30 mph on that road, probably cutting corners on the left side, gets what they deserve. 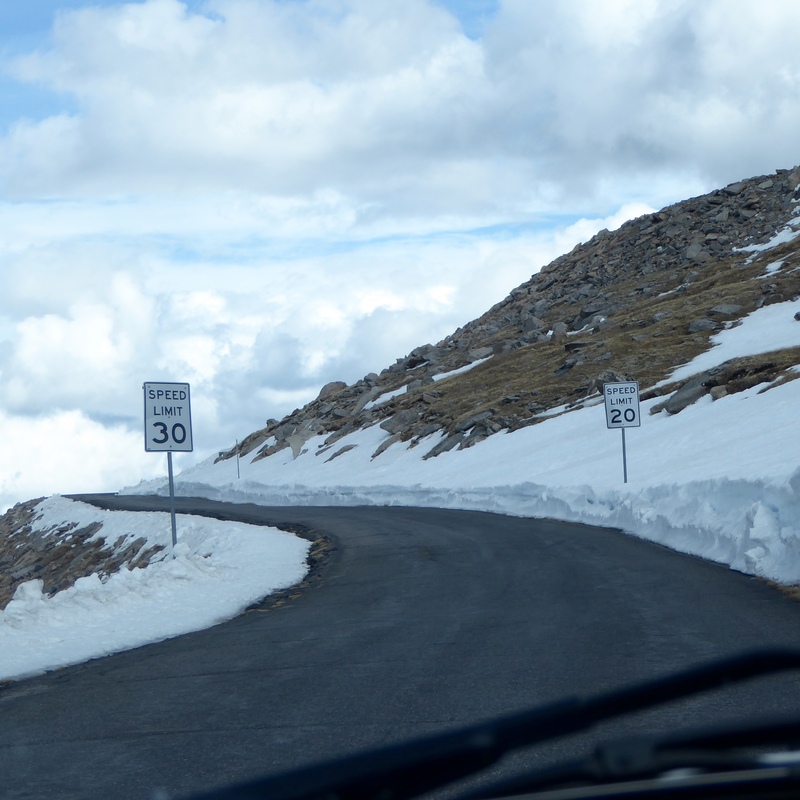 It is a steep, winding road, without guard rails, so speeding is not a problem for me. But, guess someone put one of the signs facing the wrong direction. It did make me smile when I saw that. Thanks for reading and commenting.